The reason for posting this is twothreefold. The f**king comments. I know, I know, you don’t have to say it. But I was intrigued to see what the public had to say. Some argued that the video in no way resembled a car commercial. You know, because there wasn’t any narration and it was over 30 seconds. Hooray voor exacting standards and obvious statements. One observed it was ironic that a bike company was using car commercial steez. But, like ironic bad. There were even a few Copenhagen experts complaining that if the country was sooooo proud of their bike density then why show it on empty streets? I’m sure that decision had nothing to do with CLEARLY SHOWING THE PRODUCT THEY INTEND TO SELL. IT WILL LITERALLY DIE FROM SOGGINESS AND/OR MUD COATEDNESS. I hate the comments section. Finally. I love the way the Butchers & Bicycles MK1 looks and (I assume) handles. As someone who’s currently building (this entire year) an Xtracycle Edgerunner fulfilling the cargobike slot in the collection, I too, want to own one of these fine machines despite the obvious fact it (probably) won’t fit through the doorway of the Cycleboredom offices. 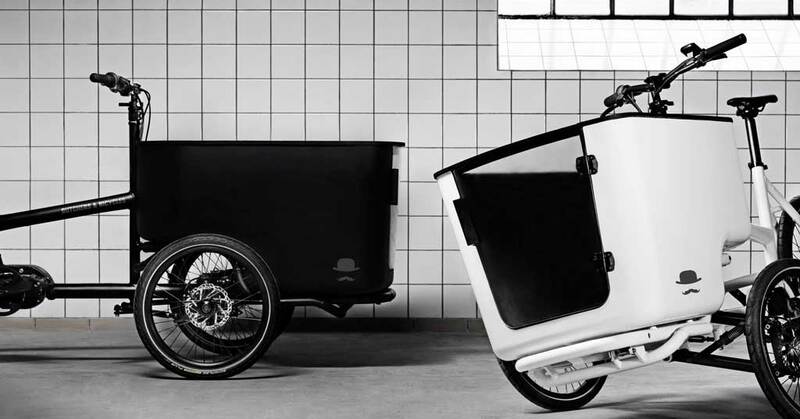 I’ve long been a fanboy of the bakfiets, but this model is challenging that fanboyism. It’s slated voor a January release without any firm details of when/if it’ll be available outside of their Copenhagen showroom. Keep up with the latest B&B news on their Facebook page.